Enjoy the various walks to Bushmen rock art areas or enjoy a round of golf a the nearby golf course. Qunu Falls is a fabulous getaway. Pride of the resort is the friendly peacock on patrol. This is a bird watchers paradise with over 160 species nesting in the area and surrounding forests. There are four hiking trails and guided horse rides, which is a great way to enjoy the forest area's and magnificent hills. Cayley Lodge is set in 116 glorious hectares in the central Drakensberg, overlooking Cathkin Peak and Champagne Castle. The resort offers guests a variety of excursions-4x4 trails, abseiling, horse riding trails, off road and quad biking or if you prefer the more relaxed life-style, treat yourself to a morning at The Body Bliss Spa, which is on-site, pick from a selection of revitalising and refreshing treatments. For the keen golfer, why not book a round at Champagne Sports resort, just a few KM's off site. These charming cabanas with beautiful view, are situated among the trees alongside the Sabie River. This resort is a mere 18km from the Phabeni gate of the Kruger National Park. This really is the a superb area of South Africa to explore, with nearby attraction such as God's Window, Blyde River Canyon, and Mac Mac Falls. This resort also boasts its own Body Bliss Spa, which offers you treatments like Pedicures, Facials or just relax with a Full Body Massage. With the beach only 500m ahead, start the day early and take a leisurely stroll on the beach while you enjoy the magnificent view of Table Mountain. The beach offers a variety of terrific water sports, such as kite surfing, surf fishing, beach volleyball, paddle-skiing and wind surfing. For kids, they can relax at their own safe Little Bay and the resort includes a playground, with trampolines and a stunning pool. For those that enjoy eating our, visit The Bayside Shopping Centre for some popular restaurants. Umdloti Beach, about 30km north of Durban, is stituated amongst rolling green cane fields and indigenous forest, golden sandy beaches and the warm Indian Ocean. Dolphins can be seen all year round and Humpback and Southern Right whales visit during the mild winter months. Just a hop skip and a jump away from Gateway Shopping Centre and the very popular Umhlanga Rocks, makes Dolphin View Cabanas, a great place to holiday away. 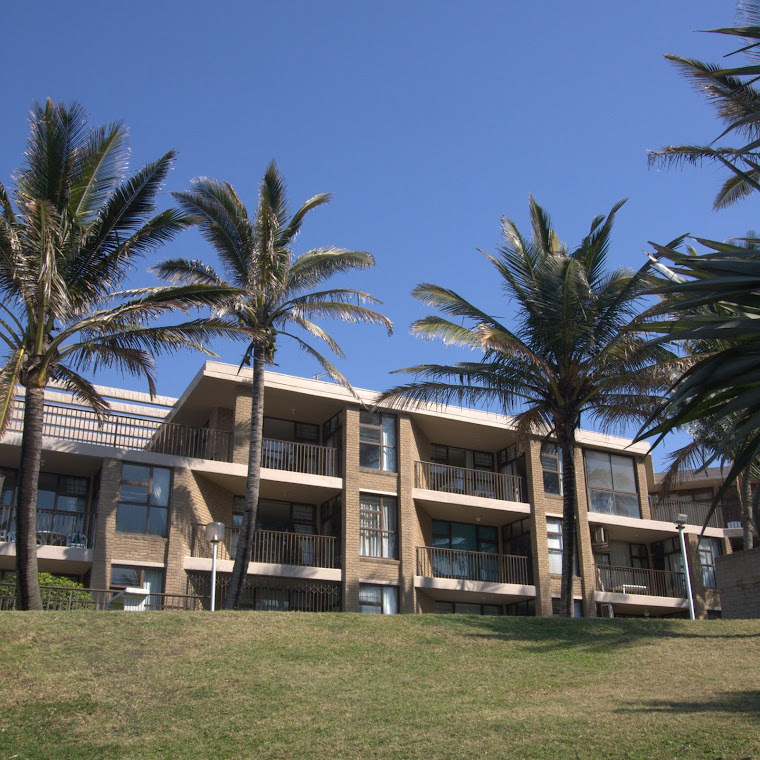 Providing gorgeous views of the KwaZulu Natal coastline, these self-catering apartments offer shaded parking, a sparkling pool and well equipped games room. Nearby you will find execellent fishing from the beach, the lifeguarded swimming beach is only 1km away as well as two family restaurants and coffee shops to choose from. Just 20 minutes away from Durban, this gives you vast shopping, entertainment and dining options. 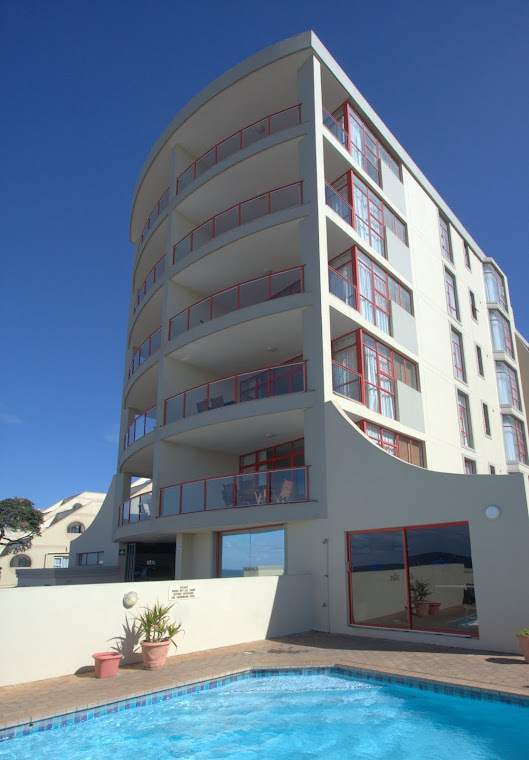 These comfortable self-catering apartments are set in a charming and relaxing environment, which overlooks the beach. For the diving enthusiast, Umkomaas is only a short drive away, and Aliwal Shoal is a must for all divers. The resort offers two swimming pools, table tennis, pool table and arcade games for the younger generation. This resort comprises of two seperate complexes, both which offer stylish decorated, self-contained apartments. The Hotel is situated on the beach, whilst the Cabanas over look the scenic lagoon. The resort has a beautiful sparkling pool, a well equipped games room and a kiddies corner. Margate is the holiday haven of the South Coast, with an abundance of restaurants, coffee shops and popular stores for those that need a quick retail fix. A short 500m path up the sloping wooded parkland and protected beach, takes you to your comfortable, self-catering chalet or unit. Explore the rock pools or relax on the golden sand of Banana Beach and just watch the waves gently caress the shoreline. For your dining out experience, meander along the coastal road towards Shelly Beach, and stop along the way to try out some of the local cuisine....you'll find local is indeed "lekker". Sunshine Bay Beach Resort is ideally situated in the surfing mecca of Jeffreys Bay renowned for its spectacular beaches and endless lazy summer days. Comfortable and tastefully decorated units with views of lush gardens within walking distance of Main Beach. Nearby are other beautiful beaches, abundant shells, relaxed lifestyle, seafood, bronze body’s and surfing. Additional facilities close to the resort includes deep sea fishing, scuba diving, windsurfing, horse riding, golf and shopping for local crafts. This beautifully kept resort has some on-site facilities for kids of all ages. This resort is a welcoming, warm and relaxing place for all families and each chalet is set in tranquil gardens. Based in the heart of the Garden Route, this is a magnificent area to sight-see and explore, with such nearby attraction like Robberg and Look Out Beach. Spacious, self-catering, serviced units and a convenient location in Sea Point provides the perfect base from which to explore Cape Town's treasures and experiences. Visit the V&A Waterfront, Table Mountain and Kirstenbosch Botanical Gardens, to name just a few of the many attractions in the area. Drive out into the Winelands and enjoy the fine flavours of South African grown wines, they are among the worlds best vintages. Nestling above the Piesang River Valley, Castleton is a unique development of part private, part timeshare apartments. Situated on the beautiful Garden Route, there are endless activities to explore, like bungee jumping, mountain biking or you can simply lap up the sun by the sparkling blue pool. Only 500m away from golden beaches, in the heart of Ballito, Boulder Bay offers her guest a holiday paradise. From rock-fishing, surfing, tennis, golf and so much more...you have the Dolphin Coast at your finger tips. Just 20 minutes drive to Umhlanga and Gateway Shopping Centre, you will be spoilt for choice, from dining, entertainment to retail therapy. This fabulous resort in the heart of Sea Point, epitomizes modern elegance, with attractive decor and numerous on-site facilities, including a games room, pool and relaxation area. Take the Robben Island tour or explore the beautiful scenic drive along Chapmans Peak. For the beach lover, a day out to Camps Bay or Clifton Beach are a must.